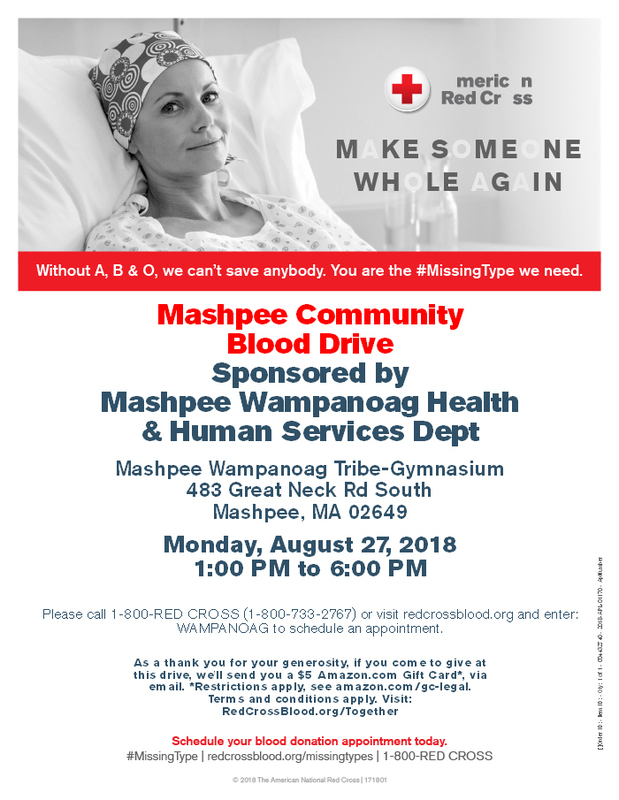 American Red Cross Blood Drive will be held on Monday, August 27 from 1:00 p.m. to 6:00 p.m. at the Mashpee Wampanoag Tribe Community and Government Center. Sponsored by the Mashpee Wampanoag Health and Human Services Department. Please call 1-800-RED CROSS (1-800-733-2767) or visit redcrossblood.org and enter: Wampanoag to schedule an appointment.